Being new in town, there are certain services for which I need referrals. You know, like where to get my hair cut. 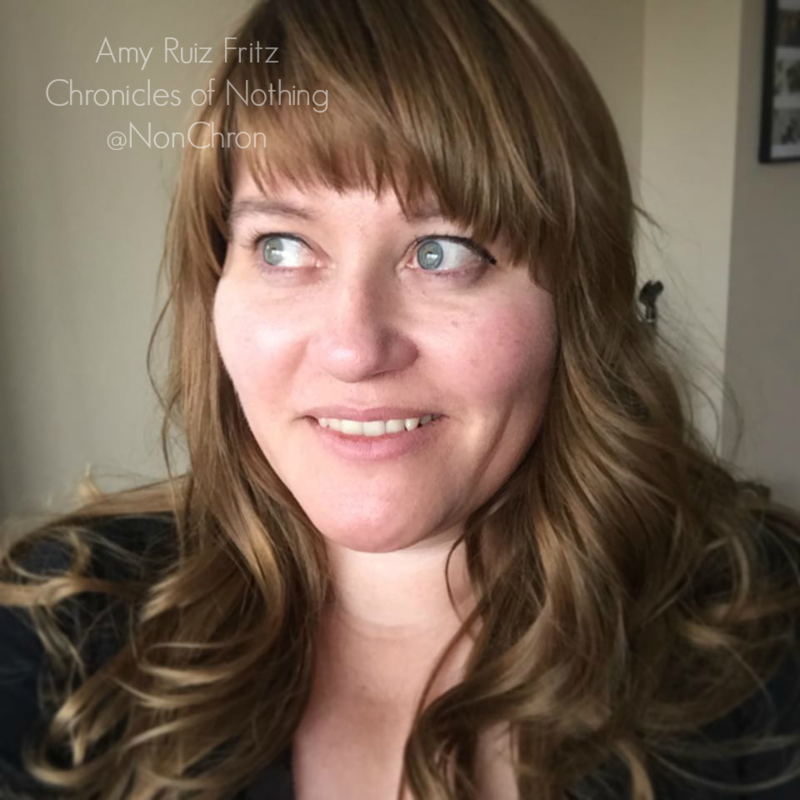 Since I don’t know many people, these recommendations are hard to come by and I’m not going to stop random strangers on the street, “I love your hair! Who do you go to for a cut?” Nine times out of ten they will freak out and likely not be able to tell me or just straight out lie. So, I turn to Yelp for help. Sorry for the rhyme. Anyway, when I first moved to Sacramento, I had a hard time finding a good stylist. I went to the gal my mom and sister used. She was fine, but something was missing. When Yelp finally became a thing, I looked for and found a great hairdresser. I went to her for a good six years. Also, I found some doctors through Yelp. It’s not just for restaurants! Now, to navigate Yelp, you have to look between the lines of a review. Just because a few people gave a place a bad review doesn’t mean you should avoid it. Has the reviewer written more than 5 posts? Do they have any friends on Yelp? Are the majority of their posts negative? However, also be wary of a place that only has a few reviews that are all positive. Apply the same rule of thumb and look at the reviewers. Personally, I like to use Yelp not only to warn people of bad service, but mostly to promote businesses that I have enjoyed. I actually have received a thank you for a positive review from a business owner. Needless to say, this makes me want to use their services even more and tell my friends about it. 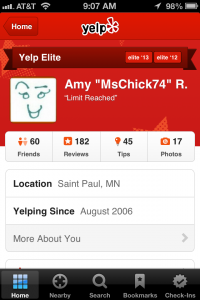 Granted, I’m not sure how popular Yelp is here in the Twin Cities. I have checked into a few places with two or three check ins and suddenly become Duchess (sort of like the Mayor in Foursquare). This tells me not too many people are using that aspect of Yelp and might not be “yelping” much altogether. I wonder how long it will be before I become Queen?